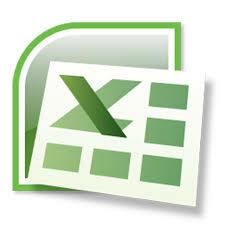 If you’re looking for really great Introductory Microsoft Excel 2010 training you’re in the right place. Companies large and small choose us – why? Your own tailored, Introductory Excel 2010 training course, at your own premises at the same price as a standard course from elsewhere. We will look at creating a workbook from scratch, formatting data and creating simple formulas and functions. Worksheet Setup – modifying worksheet margin settings, adjusting worksheet setup to fit one page, adding a header and footer, changing document orientation, page size, etc. We provide Microsoft Excel training courses, Microsoft Office training courses, other IT training courses and Personal Development training courses in London, Richmond, Twickenham, Kingston, Hounslow, Brentford, Putney, Kingston, Wimbledon, Walton-on-Thames, Chiswick, Teddington, Hampton, Feltham, Acton, Ealing, Heathrow, Egham, Staines, Hanwell, Sunbury, Hammersmith, Fulham, Greenford, Clapham, Chertsey, Woking, Epsom, Banstead, Weybridge, Wandsworth, Middlesex, Surrey, the M25 corridor, High Wycombe, Reading, Croydon and beyond. We will travel further if expenses are covered.